I have chosen PMP Limited for chart analysis from the stocks in which I have positions. This post is current at present, and is a personal assessment. It is general information only, and not a recommendation to buy or sell. For this purpose you should seek professional advice. On the 15th October 2012 PMP Limited announced the appointment of Mr Peter George as managing director to over-see restructuring of the company in the next 12 months. He was largely responsible for the successful restructure of the New Zealand print business. PMP Limited and its subsidiaries provides a large range of printing, publishing, digital premedia, promotional and advertising services in Australia and New Zealand. 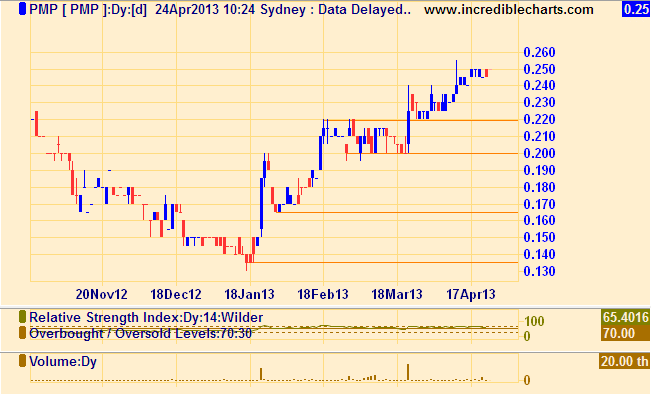 Price consolidating between 20.4 and 25c. V-shaped Trend Reversal in mid-January 2013. Share-price trending higher since then, to consolidate between 20 and 22c. Initial leg higher from 13.5c to 22c was 8.5c. 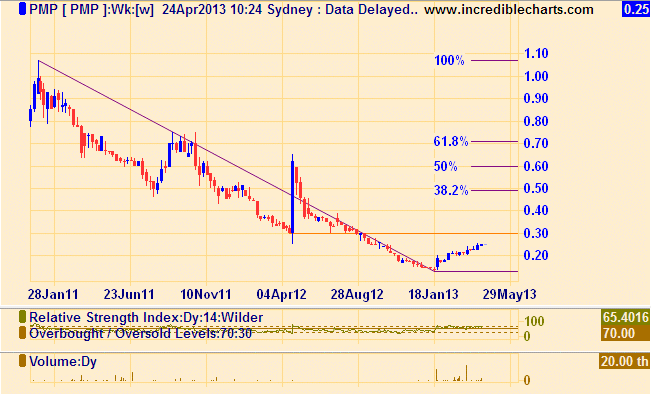 Expectation of another leg higher of a similar amount from 20.5c would carry the share-price to 29c. 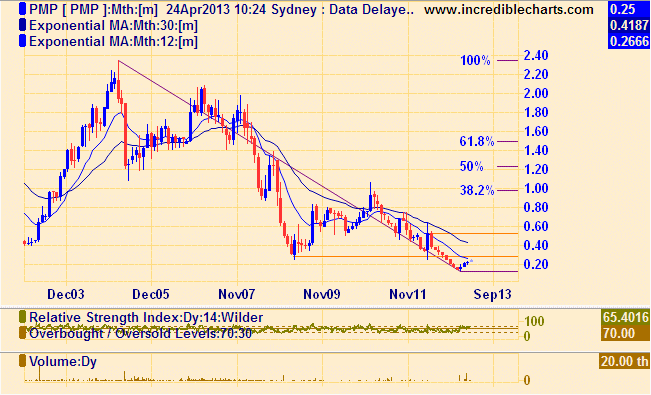 This tallies with resistance at about 30c and is the next target to be met. A reasonable stop-loss position would be at 20c.